As you would feel. Loved. Soon you might be sitting in a Michelin star restaurant in a mega city and try to think of when you last had a better meal. A smile comes as you remember that night at Brasserie Fjällköket at Abisko Mountain Lodge. That plate spoke without shyness directly to your heart, ingredients from the wilderness where you had spent your day. The love was mutual. 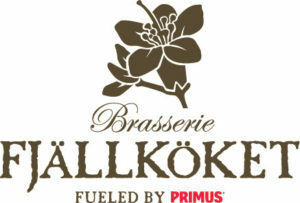 At Brasserie Fjällköket we serve a three course menu every night during winter. In summer we have an á la carte menu instead. Among the seasonal variations you will also find moose, arctic char and other local specialities. Sourced directly from the wild. Slow-food is the motto at the Brasserie and has been from start. We are proud members of the slow-food movement. If you are not staying with us at the Lodge, but still want to eat with us – no problem – just give us a call for your dinner reservation at +46 980 401 00.